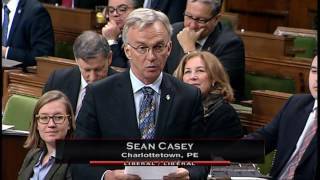 On December 9th, 2016, Sean rose in the House of Commons to congratulate Becka Viau on being named to receive the Meritorious Service Medal from the Governor General of Canada. 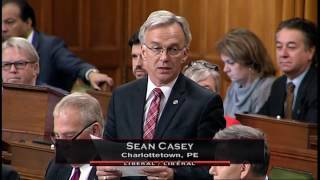 Added January 23, 2017 from SeanCaseyMP. 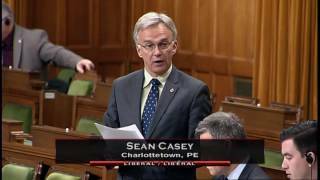 On December 2nd, 2016, Sean rose in the House of Commons to extend a sincere thank-you to a tireless group of volunteers who work to ensure everyone has a proper Christmas: Santa's Angels. On November 25th, 2016, Sean rose in the House to mark the opening of the 29th annual Rotary Youth Parliament. 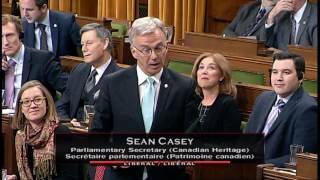 On June 15th, 2016, Sean rose in the House of Commons to congratulate Lorie Kane on her induction into the Canadian Golf Hall of Fame. 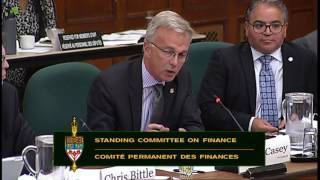 In September 2016, Sean had the chance to take a seat at the House of Commons Finance Committee. While there, he posed a question to Daniel-Robert Gooch, President of the Canadian Airports Council, on how we can ensure infrastructure programs meet the needs of small airports in Canada. 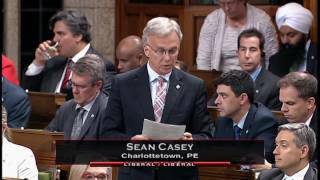 Added February 16, 2017 from SeanCaseyMP. Sean congratulates Erin Johnston, Principal of Prince Street School, on being named one of Canada's Outstanding Principals by The Learning Partnership. Sean congratulates Drake, The Weeknd, and Justin Bieber, on being the top three recording artists of 2016. Sean félicite Drake, The Weeknd, et Justin Bieber qui sont en têtes des ventes mondiales pour l’année 2016.